On Monday, November 1st, about 40 people participated in the Naval Hospital Cemetery Site tour and public meeting. 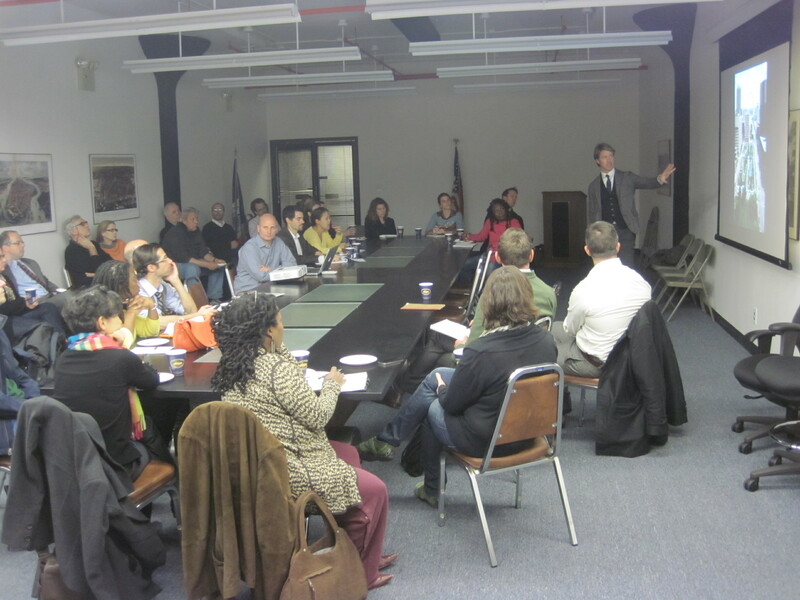 The event was hosted by Brooklyn Navy Yard Development Corporation and sponsored by Brooklyn Greenway Initiative. 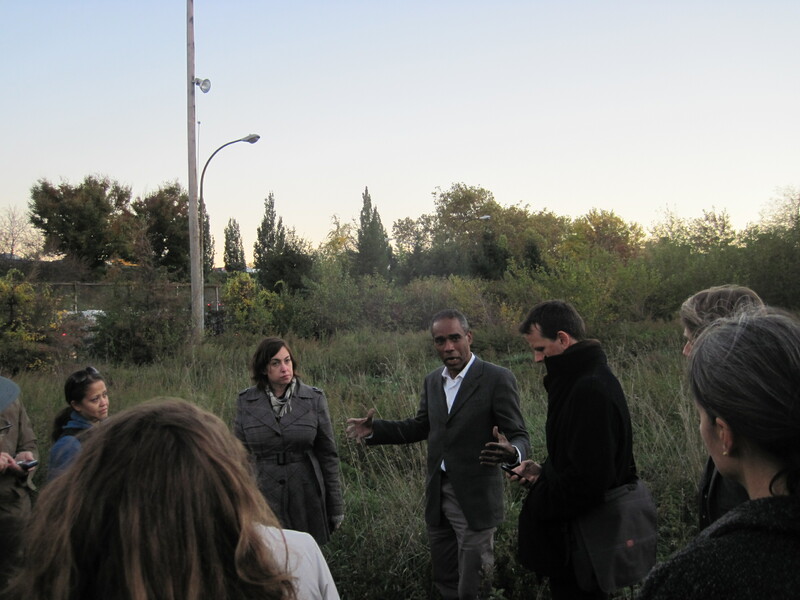 Just before sunset, the group toured the site with BGI’s co-founder Milton Puryear and Shani Leibowitz, BNYDC’s Director of Development & Planning. Participants then re-convened inside the BNYDC administration building for a presentation by Rogers Marvel Architects and their project partners. Feedback during the Q&A was very positive, with participants providing substantive suggestions that will inform the site design going forward. BGI can provide this presentation to other interested groups. Contact Milton Puryear at mpuryear@brooklyngreenway.org for details.